ATM Card: We will be issuing you a custom pin based ATM card which you will use to withdraw up to $3,000 per day from any ATM machine that has the Master Card Logo on it and the card have to be renewed in 3 years time which is 2021. Also with the ATM card you will be able to transfer your funds to your local bank account. The ATM card comes with a handbook or manual to enlighten you about how to use it, even if you do not have a bank account. Your payment will be sent to you via any of your preferred option and delivered to you by FedEx Post Services. You are only required to pay $1,200 U.S Dollar, for the security keeping fee and the express delivery of your Cheque or ATM Smart Card. Furthermore, anyone asking you for some kind of money above the usual fee is definitely a fraudster and you are advised to stop every communication with such individuals. To successfully claim your compensation fund, we have sited offices in Europe and West Africa to handle the payment process. You are to specify either of the two offices convenient for you. • HALIFAX BANK PLC [UNITED KINGDOM]. • ZENITH BANK PLC [WEST AFRICA]. Specify either of the above payment offices, that is convenient for you, with your preffered method of payment. In order to expediate your claim process, forward all the required details, using below contact information. Please provide below details, for re-confirmation. Upon receipt of the above stated informations, you will be referred to either of the payment offices, you specified. Scam alert! The E-mail above is a SCAM. 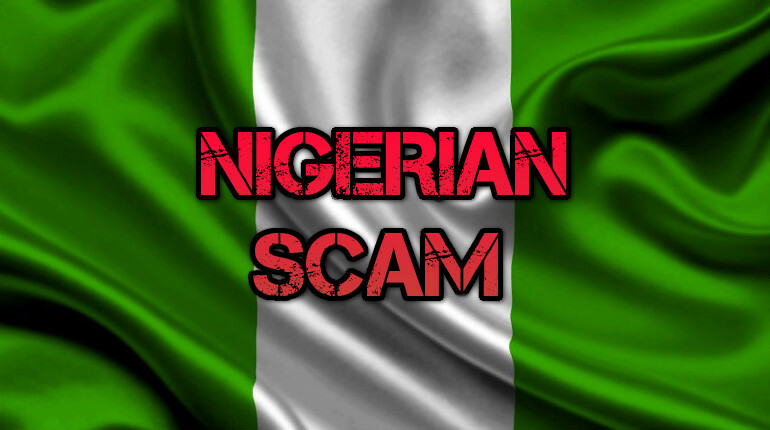 It’s a Nigerian Money scam, the story and all names & roles are fake. The real FBI, UN and Interpol have nothing to do with this. These scammers will most likely ask you for money upfront as ‘costs’ before you get the ‘funds’ (which you will never get offcourse).